Whether you're a musical theater buff or someone who lives for the Step Up franchise, you have to admit that dance movie scenes are often (all too) representative of real life. Here are five of our favorite scenes that, despite being silly and/or fantastical, somehow manage to reflect how we feel. 1. Did you just get cast in your dream role? Ace a test? Is "You Can't Stop the Beat," from Hairspray, running through your mind right now? It's an amazing anthem to sing to yourself when you feel unstoppable. 2. The warehouse dance scene in the original Footloose is legendary. This is how we deal with casting disappointments when nobody's watching. 3. "Good Morning," from Singin' in the Rain is so cheerful that it's easy to forget the song is sung by exhausted people who have just pulled an all-nighter. But anyone who says they don't do a victory dance when they come up with a great idea is lying. 4. Does the audition scene in Flashdance perfectly capture all of our audition anxiety? YES. But like any successful dancer, Alex shows exactly why she's unique—and it wins her a spot at a prestigious art school. Also, her high-cut leo and legwarmers are everything. 5. "We Go Together" from Grease perfectly encapsulates our feelings at the end of the school year or a summer intensive, or after a show closes: We're both relieved and sad that everything is over, but we know we've had an amazing bonding experience with our friends and colleagues. 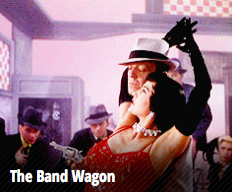 What Are the Best Movie Musicals of All Time? 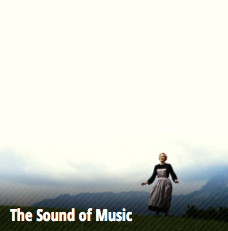 During the holidays, when relatives of all ages are gathered in front of the same TV, one of the safest bets for channel surfers is a classic movie musical—which probably explains why they're on air about every five minutes these days. And I'm definitely not complaining. White Christmas! 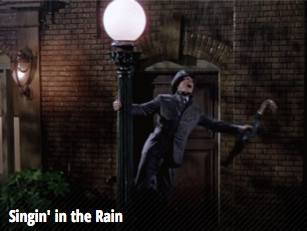 Singin' in the Rain! 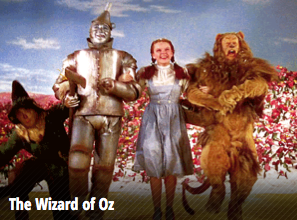 The Wizard of Oz! 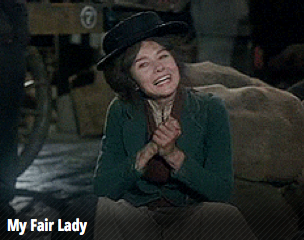 My Fair Lady! Bring it on, Aunt Gertrude: I can handle any kind of family drama if I have the likes of Gene Kelly and Judy Garland to help me through it. 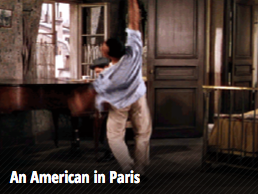 The cute website Culturalist, which lets users create their own artsy, gif-ified top 10 lists, recently put together (with an assist from Broadway.com) a group of 25 movie musicals for fans of the form to rank. A lot of old standbys are included, naturally, but there are also a few wild cards. (Disney's Beauty and the Beast? Hmm.) Which are your favorites? Click here to choose your own top 10—and to see how it stacks up against other users' lists.